December is finally here! I am so excited for all of the fun activities I have planned at school, especially the arrival of our Elf and his friend Mouse. 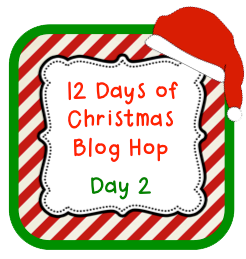 12 Days of Christmas Blog Hop. I am joining up with some fabulous friends to offer great holiday freebies to wish you a wonderful holiday. I have a fun sampler pack of my holiday clip art up on TPT, free to download. I also finished my December Kindergarten Homework Packet. It is a monthly packet of weekly homework. Since everyone has a short month, this packet is 3 weeks of homework and a Holiday Color Word Emergent Reader. I just loaded it and it will be on sale for 20% off through the 12 days blog hop. Here is a free page from the packet that would be fun for morning work. You can access it by visiting my google docs. In case you missed day 1 of the 12 Days Blog Hop....scoot on over to Time 4 Kindergarten and Ketchen's Kindergarten, two sweet Kindergarten teachers and friends!! 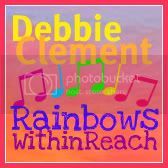 And of course check out the other Day 2 blogs, Rainbows Within Reach and Sharing Kindergarten. I love those gals!! Isn't it amazing the friends you can meet through blogging? I have my camera charging so I can take lots of pictures this week!! Have a WONDERFUL week!! My camera's charging, too!! Thanks for the shout out! Think of me this week -- I'm off to Dallas for my first, ever NATIONAL Keynote! I know you're cheering for me. I love the Oodles of Doodles clipart. I've used it to dress up several winter worksheets. I put a link above to one of them if you want to check it out. Thanks again. Oh grrr, I put a link to the wrong day. This one should be the correct one. Sorry about that.